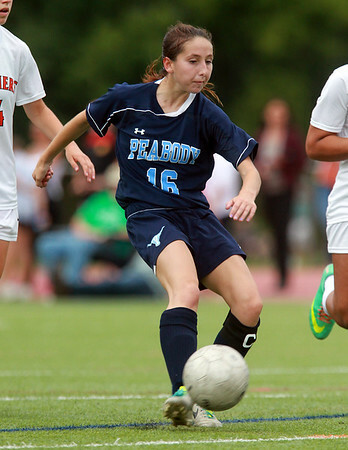 Peabody senior captain Caroline Colbert (16) fires a shot on net during the second half of play against Beverly. DAVID LE/Staff photo. 9/11/14.